OK So as promised, here is the tomato pie recipe. I am telling you it is SO good and super easy! If you’re looking for a delicious way to enjoy tomatoes from your garden, the farmer’s market or the grocery store, this tomato pie is so satisfying! I intended to take a picture but we were too busy ravaging it! We had the leftovers for dinner last night too and it was great re-heated as well!! The only change I made to this recipe was to use fresh basil and I used quite a bit more than it called for. Enjoy! Tomato season means more tomato pie for me! 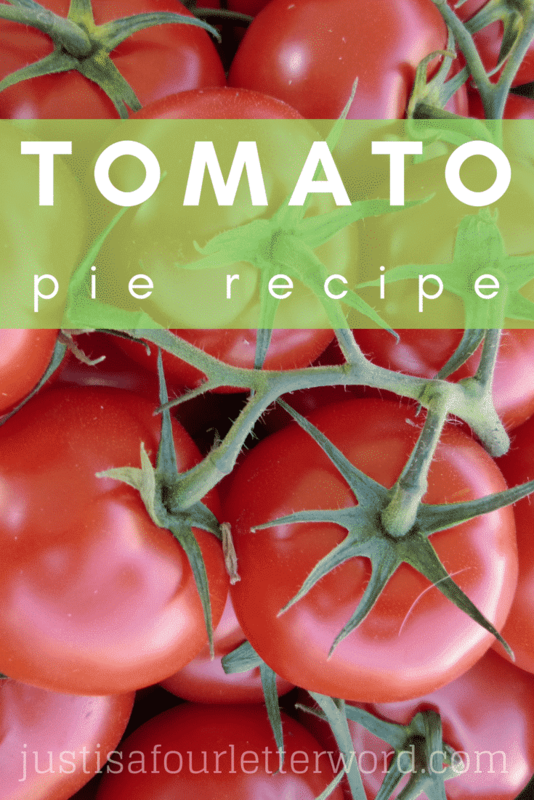 This is a delicious and easy tomato pie recipe. Crumble 12 townhouse crackers and mix melted butter. Sprinkle on top. This Tomato Pie is seriously delicious and I can’t wait to make it again! My next mission is deciding what I would serve along with it. How would you serve it? 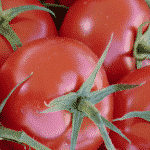 I would love to know your favorite tomato pie recipes and meal planning ideas. Feel free to leave them in the comments. And if you make this tomato pie, let me know. I hope you love it!